Printed Cardboard wallets are an easy, low cost, and "light" method of packing discs. 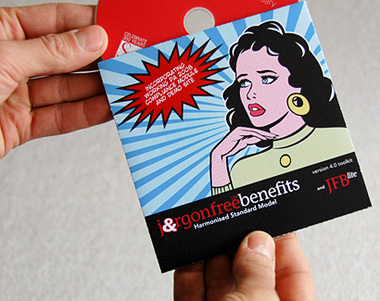 They can be printed in full colour, front and rear making them ideal for packaging promotional discs. Ideal for promotional discs, low cost applications, or where you wish to achieve a minimalist feel with your discs. The disc fits snuggly into the cardboard wallet and protects from scratches and dirt. Our wallets are made from a high quality white cardboard. Cardboard wallets started appearing as a low cost, space saving, and minimalist alternative to original jewel cases. They initially started appearing as media companies started using them to distribute promotional CDs and DVDs. The companies found that the wallets used minimal storage space, one quarter that of original jewel cases. The wallets still protected the discs during transit and once they reached the consumer. Unlike plastic wallets, all of this was achieved without sacrificing the ability to print vivid images and information on the packaging, and so the cardboard wallet went on to become a familiar and popular method of packaging CD and DVDs. Our cardboard wallets are FSC certified from mixed sources. Paper and cardboard is easier to recycle than plastic wallets or cases, and is fully biodegradable. To download a template of the cardboard wallet please our Artwork Page. Please note that unlike many printed cardboard wallets available, Duplication Centre’s are professionally die cut - there are no perforated edges!